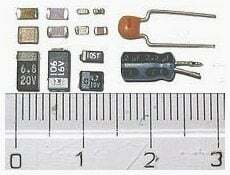 In the market, there are several types of capacitors that have been manufactured. Although all capacitors work essentially the same way, key differences in the construction of different capacitor types makes an enormous difference in their properties. 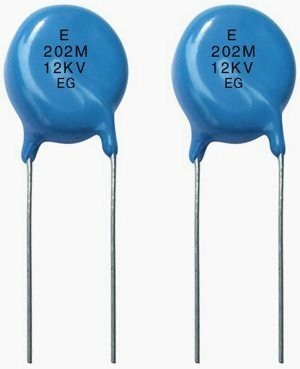 Each capacitor type has its own set of characteristics and applications from small delicate trimming capacitors up to large power metal-can type capacitors used in high voltage power correction and smoothing circuits. The dielectric material between the two plates is the main element of the capacitor that gives rise to the different properties of the different types of capacitors. The type of internal dielectric, the structure of the plates and the device packaging all strongly affect the characteristics of the capacitor and its applications. 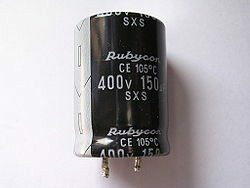 Some capacitors have the metal plates rolled up into a cylinder to form a small package which makes them look like tubes. Some capacitors are sealed using an epoxy resin after being constructed from ceramic materials. Electrolytic capacitors are high voltage capacitors which produce high value of capacitance in a small component at the expenses of wide tolerance in the marked value and the necessity of connecting the capacitor so that one terminal is always positive. When very large capacitance values are required, electrolytic capacitors are generally used. Due to their large capacitance and small size, they are also used in DC power supply circuits to help reduce the ripple voltage or for coupling and decoupling applications. High-capacity electrolytic, also known as supercapacitors or ultracapacitors, have applications similar to those of rechargeable batteries. Ceramic or Disc Capacitors are manufactured by coating 2 sides of a small porcelain or ceramic disc with silver and are then stacked together to create a capacitor. They are generally small, cheap and useful for high frequency applications, although their capacitance varies strongly with voltage. Although small in physical size, they have high dielectric constant. They are non-polarized devices and the exhibit large non-linear changes in capacitance against temperature. Ceramic capacitors have multiple layers in order to ensure that sufficient levels of capacitance can be obtained with a single capacitor package. Although other styles are available, the 3 main types of ceramic capacitors include leaded disc ceramic capacitors, multilayer surface mount chip ceramic capacitors and specialist microwave bare leadless disc ceramic capacitors. 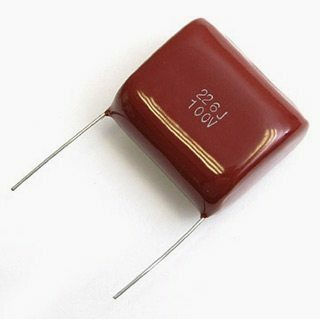 The most commonly available of all types of capacitors are the film capacitors which consist of a relatively large family of capacitors with the difference being in their dielectric properties. They can come in an assortment of shapes and case styles including wrap & fill (oval & round), epoxy case (rectangular & round) and metal hermetically sealed (rectangular & round). 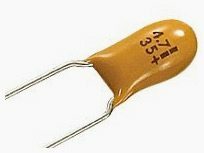 Similar to electrolytic capacitors, tantalum capacitors are also polarized but uses tantalum within the construction of the capacitor in order to provide extremely high levels of capacitance for any given volume. They offer a form of capacitor that provides a very high capacity density. They are available in both wet (foil) and dry (solid) electrolytic types. Good job. You keep me updated.